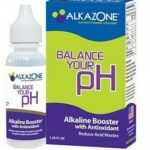 Are you considering a water ionizer to increase your health or enjoy one of the other many benefits of Alkaline Water? Is the $1,000 or more price tag just out of the range of possibility for you? New Cell has a countertop model which is one of the more affordable units on the market. Here are the top features of the New Cell 5 Plate Water Ionizer and Alkaline Water Machine. 1 What is the New Cell Water Ionizer? 2 How well does the New Cell Water Ionizer Work? 4 Where Can You Get the Best Price? 5 Is the New Cell Water Ionizer & Alkaline Water Machine Right for You? What is the New Cell Water Ionizer? The NewCell Water Ionizer sits on your countertop and produces good quality alkaline water for drinking. It measures 16 inches tall, 12 inches wide and 6 inches deep. The design of this water ionizer is simple and clean which is an important point since it will be sitting out on your counter. It doesn’t have too many buttons or readings on the front display which give it a nice clean look. It’s simple enough to fit in with almost any kitchen décor. The unit has a built-in filtration system to remove sediments and other impurities with activated carbon. The filter cost is $65 and will last for 3,000 liters or 792 gallons. How well does the New Cell Water Ionizer Work? According to the reviews, this Water Ionizer does work and produces alkaline water that is consistent with the readings on the display. However, since it only has 5 plates instead of 7 or more, it won’t produce the alkaline water as quickly. The plates also have a mesh, slotted design, rather than being solid. This is helpful in bringing down the cost since platinum titanium is very expensive. But the slotted design can also be more difficult to clean and be a little less durable. It’s a trade-off between the price and efficiency of design. However, even with these drawbacks, this model of the New Cell will still produce good alkaline water. It may just be at a slower rate as some of the more expensive models. One other consideration is the replacement filter. The filter on this model needs to be replaced a little sooner than some other models after just 3,000 liters. By comparison, the Aqua Ionizer Deluxe 7.0 filter will last about twice as long and costs a bit less. Alkaline Water Machines have long been a controversial topic here in the United States. Overseas, in Japan especially it is very common for people to alkalinize their water. But some holistic methods such as drinking alkaline water get a larger amount of scrutiny in the US. It is for this reason you have to be careful when reading online reviews. Always make sure the review is from someone who actually purchased the product. When you are reading reviews that are not verified you may encounter one of two things. The review may have been made by a salesperson trying to sell more items. So while the review may be glowing, the reviewer also has a vested interest in selling you the product. The review may be by someone who has never used the product at all. They may disagree with the product and its effectiveness in theory only. Neither one of this type of review is helpful. So always make sure when you are reading online reviews, they come from someone who has tried the product & has helpful information. This is one thing that Amazon.com is very good at. They will verify whether or not any of their online reviews have been made from someone who actually owns the product. Click here to read real reviews from Amazon customers, and keep a lookout for the Verified Purchaser symbol. Shopping online is almost always the best place to comparison shop. It’s easy, and as long as you can find the product you are looking for, you can normally check prices with a few clicks. It’s also very easy to compare features and benefits. You can also use our handy comparison chart to size up the competition. 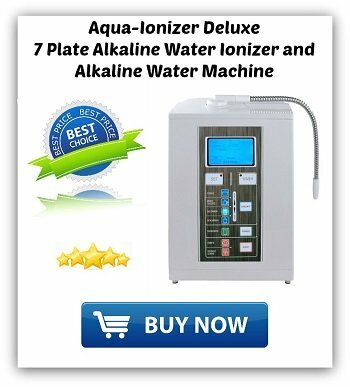 Is the New Cell Water Ionizer & Alkaline Water Machine Right for You? Determining if the New Cell Water Ionizer is right for you, you have to consider the pros & cons of this machine. The big selling point of this particular model is the price. 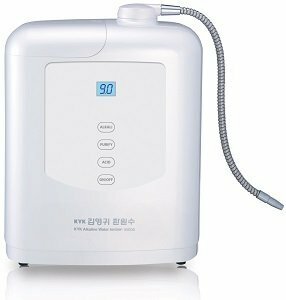 It is one of the few Alkaline Water Machines with a price tag under $1,000. 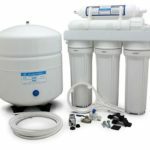 It also has a very clean design and it will create the right level of PH suggested by the experts for you to enjoy the benefits of alkaline water. There are definitely other models out there which are better. The competitors may have more plates, a better flow rate or other fancy features. But this model will still do the job. It’s a great starter unit for you to start enjoying the benefits of alkaline water.